With the introduction of Lync, Microsoft has done a good job of changing customers’ perspectives for UC solutions. We can see more and more customers deploying Lync and pushing forward more collaborative environment. System Center Service Manager 2012 delivers an integrated platform for automating and adapting IT Service Management best practices to your organization’s requirements. Microsoft System Center Service Manager provides integrating with Lync 2010 out of box, What you have available right now is presence information and the possibility to call, send mail or instant message. Lync Communicator extended Service Desk agent is add on for Microsoft Lync that helps end users to start a conversation with a Service Desk team using IM, and gives the Service Desk team the ability to see users incidents with detailed information, follow up with incident status and create new incidents if needed. The Lync extended Service Desk agent provides a way to deliver a lite and fast version of Microsoft System Center Service Manager Console with the same information. 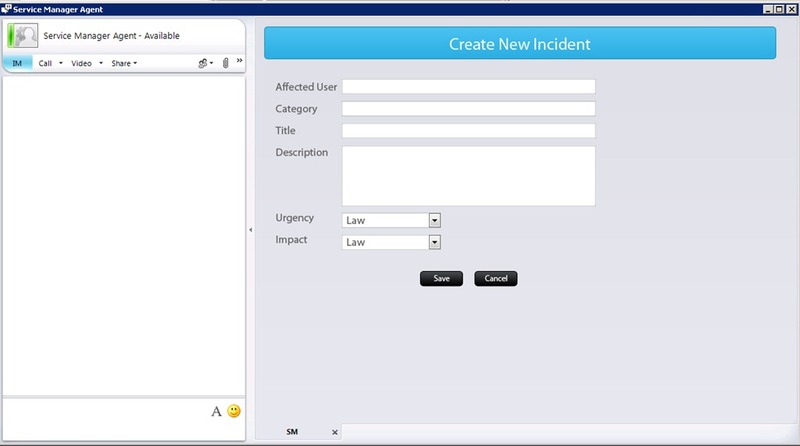 The solution provides capabilities to search the incidents using user name “In case that you need to check incident status for your college” or incident ID. 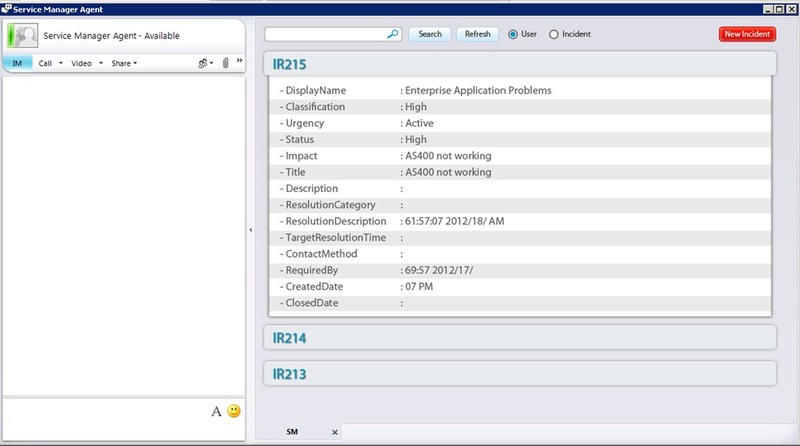 IM your incident is a solution that helps the people in your organization who have incidents to submit it using Microsoft Communicator. for enterprise organizations a lot of people are moving around , working from home or remote sites with limited access to Service Manager Portal or help desk team. 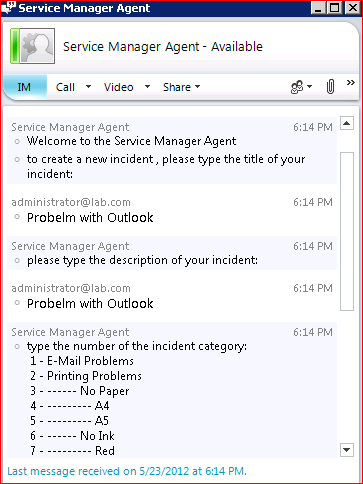 Utilizing Lync capabilities the solution allows users to submit their incidents using Lync 2010 instant messaging (IM) from any where. The solution provides the end users with automated guided flow to get all needed incident information “Incident Name, Category, Description, Urgency, etc …” and provide the end user with incident ID at the end.